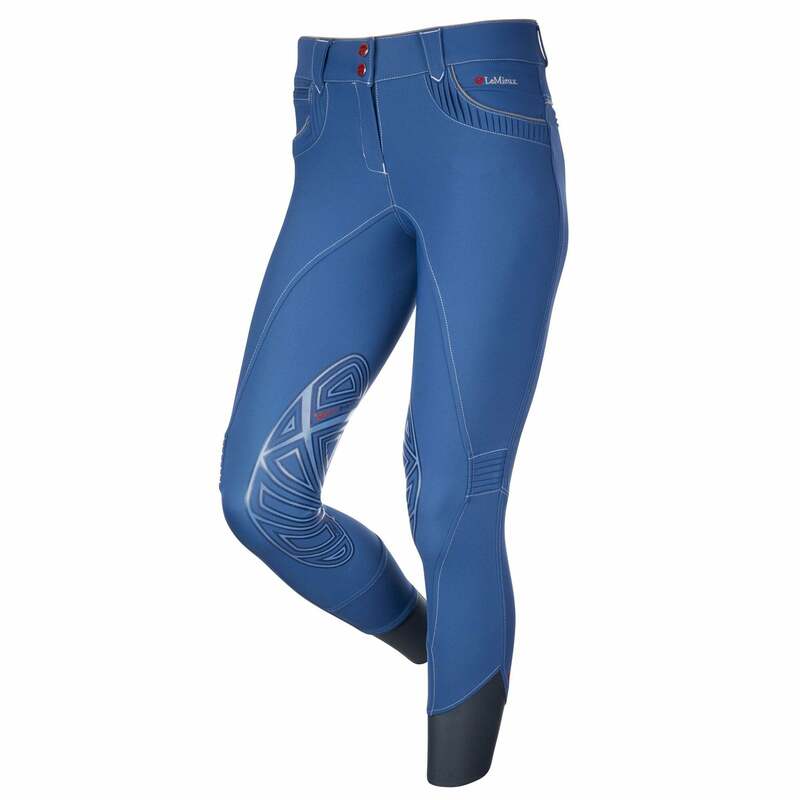 These LeMieux Bascule Breeches are designed for riders using a shorter stirrup length, for example whilst jumping. The high performance sports fabric ensures freedom of movement and flexibility are the highest priority with an outer pleated fillet for enhanced flexion at the knee when jumping or riding with a shorter stirrup length. The elasticated active waistband allows for minor variations in hip and waist shapes. These mid-rise breeches have shaped Silicone X-Grip knee patches for grip and security without bulk. These stylish breeches also feature contrast piping, pleated front pockets, branded buttons, flush zip rear pockets and luxury Italian mesh above the ankle to help prevent rucking under long boots or chaps. LeMieux Bascule Breeches are equally at home used everyday or in the ring.